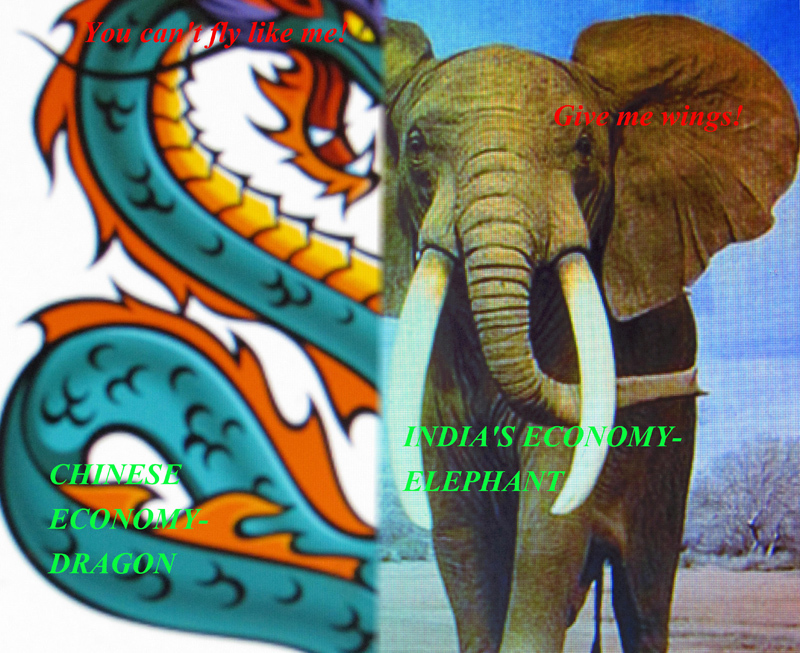 Simple facts of the two fastest growing economies of the world say, Chinese dragon is way ahead of Indian elephant in terms of their respective future economic growth. For India, the elephant needs to be winged to fly; she can not afford to wait for the evolution of a flying Elephant, writes Bishwajit Okram, Financial Controller, C&F Group, Ireland. China will take over USA in 2018 as the world’s largest economy, says an economic game published in the December 31st edition of the Economist. India is nowhere near the two; interestingly at the least, nowhere near China. The economic barometer is pointing towards a Chinese economic world no later than 2020. The underpinning facts of Chinese economy overwhelm those of India’s. China’s annual appetite for steel consumption is 868% more than that of India’s in 2010. Steel is a vital raw material for any development particularly in infrastructure and manufacturing industries. China’s energy consumption is 598% more than that of India’s. Energy is like blood in a human body to business. It shows how hard the economy is working to produce more gross domestic product (GDP). The result in 2011 says, China’s GDP growth is 9.2% where as India’s will be 7% as the prime minister, Dr Manmohan Singh, reckoned. The economic growth of China is paying off now: they have more than 200 billionaires as compare to 69 of India in 2010. They spend around $192 billion in public health, where as India spent only $65 billion, when the population is now very close. Life expectancy is 75 year in China 75 but in India it is around 65 only. China’s expenditure on health care system is nearly 5 times that of India. The gap between India and China is widening in terms of values of most social indicators of living standards, such as life expectancy, infant mortality rate, mean years of schooling, the coverage of immunization. 97 percent of Chinese children are immunized with DPT vaccine, in contrast with India’s meagre figure of 66 percent. India’s prime minister announced that he was ashamed of the fact that India still has many malnourished children despite being fastest economies of the world. In the field of research and development, India has not made a dent yet. The fact that in 2011, 12.3% of residential patents registered in the world is from China , a massive increase in its registration , suggest that they are truly emerging as a world leader in innovation. Recently the world has been taken aback with China’s announcement of sending astronauts to the moon and sending a well designed space station after USA is abandoning its own. China became competitive faster than any other countries over the last one decade. This is one reason why companies would like to flock in China. According to the world competitive ranking China is at 31st position as compare to India, which is at 50th position. The only area, India has a point to smile, is their domestic consumption which is not far off from that of China’s. China’s retail sales in 2009 were $360b, which is just 25% more than that of India’s. Strong retail sales are a sign of strong domestic market. This can also be interpreted in different ways: China has a huge potential for its retail market as the domestic market is still yet to be exploited. Another critical negative factor for India’s economy are the inflation and the unemployment rates, which much bigger than China’s. India’s average inflation rate for 2011 was 9%, where as China’s inflation was less than 6%. The Unemployment rate of India was nearly 9%, when China had 4% which is considered negligible according to international standard. India’s credit rating is BBB- where as that of China’s is AA-. This is one reason, why India’s overseas funds withdrew a net $380m in 2011 compared to record inflows of $29bn in 2010. China still has net foreign assets of $2 trillion or more. The biggest of all is that China has $3 trillion foreign exchange reserve, the highest in the world where as India has only $314 billion as at the end of 2011. Recent announcement of the government of India of huge food subsidies is fraught with many economic ills. Dr Manmohan Singh, the prime minister of India said in his new year’s speech that India need pare back subsidies and implement tax reform because he was concerned about fiscal stability in future. The Nobel Laureate in Economics, Prof. Amrtya Sen once said that the distinctions are important for the emerging economies which are trying to decide where to emerge. India needs no horse race competition with China in relation to the economic growth figure but with the other aspects of social values developments, quality and standard of living developments, democratic values and political liberties. Over the last two decades, in all the social indicators, India has persistently declined even in the areas of social development indicators as compare to Bangladesh, Sri Lanka, Nepal and even Bhutan. Bangladesh has taken over India in nearly all the social indicator. Many more Indians have various deprivations, undernourished, unschooled, and medically uncared much, Prof. Sen pointed in a recent seminar at New Delhi. Financial times quoted Kunal Kumar Kundu, senior economist at Roubini Global Economics in Delhi as saying that at the end of the day, it was all about attractiveness of the market. Remember, even Indian investors were now more prone to investing outside of India than they were within India, given the various issues they are facing – policy paralysis and corruption. India needs to pull its shocks especially by the policy makers and politicians. India is not dying; but India is simply not staying fit to fight for global economic dominion. The pulse rate, through the economic stethoscope, says India’s economic pulse is much slower that that of Chinese. It is time to put wings on the elephant, rather than waiting for an evolution of flying elephant, lest China will be the next USA, not a hearty choice for India. India is a democracy only in name and China is communist also in name only. In every aspect of life, the chinese have proven that they are more capitalistic than almost any other country. I don’t see the average Indian enjoying any more rights than the average chinese citizen. A very wise person once said that “It does not matter if the cat is black or white. As long as it catches the mice, it is a good cat”. All this squabbling about who or which is better is silly and immaterial. At the end of the day, what is truly important is whether your citizens are able to lead a better life and enjoy a higher standard of living. The leadership in China may be communist in name, but every statistic and economic fact shows that they are doing a fantastic job in alleviating poverty and giving its citizens a better future. In fact over the past 30 years, this leadership has lifted over 627 million people in the country out of poverty. A world record by any measure. How many people have been lifted out of poverty in India in the past 30 years? If in 20 years time, a huge swath of India’s population is still suffering under poverty while the Chinese have over taken the Americans economically and living high living standards, what good is your fake democracy? Forget the labels and focus instead on working hard to change the economic factors which govern your living standards. Its the only thing that will change your future. China is already on target economically to overtake the USA within a decade or two. 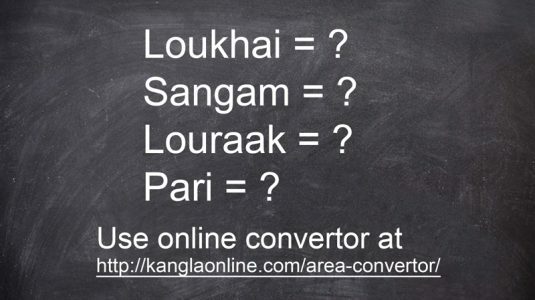 Where will the average Indian be then? Still talking arrogantly about fake democracy while living like beggars in the gutter? Time to wake up and smell the coffee. Its time for the domestic politicians to wake up from slumber and support the reforms the central Govt is making to engage India further with the world economy. Otherwise, India will be a laughing stock in the coming decades, Where as even countries like Burma and North Korea would over take India in economics. bullllllllllllllllshit, we are democratic country and they are communists, we can vote to have democratic government, how much this worths? i agree with the author of this article.!!. china communist oijarasu india dagidi moina phanam henna chaokhatpa helli aduga standard of living su helli, n about the economy,its booming like anything, and even though they are communist the public and citizens are way more happy and satisfied with their government then indian with our government. we live in a democratic country but we don’t get all the rights , weather its in court or police station or post office etc..in manipur itself we don’t have the right to live, a policeman can shoot dead a person on mere suspicion. in my opinion we are the one who is living in a communist country in the name of democracy. so what good are these elected people doing??? how much do you know of china? it is just common myth that chinese citizens do not enjoy freedom. in fact chinese enjoy more freedom than AFSPA ruled money poor. tell me honestly.. how often do good people got elected in this democracy and how long they remain selfless if at all they get elected?